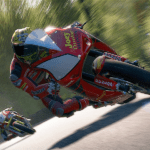 Island Racer is the ultimate guide to the Isle of Man TT races, and features everything you need to know ahead of the premier road-racing event on the calendar, as well as features and interviews covering the biggest and best names in the business. 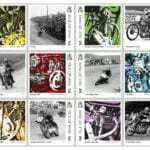 Published by the same team behind Classic Racer, Fast Bikes, Motorcycle Sport & Leisure and Motor Cycle Monthly – among others – the series is now more than 10 years old and has become the most definitive source of TT information. 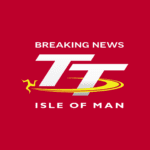 Island Racer is edited by motorcycle journalist and former TV presenter Tony Carter, it’s published by Classic Racer editor and former TT podium man Malc Wheeler and it draws on expertise from experienced TT writers. An incredible collection of photography is showcased too, much of which comes from Stephen Davison at Pacemaker Press. Expect this year’s edition to be on the shelves of all leading UK newsagents and retailers in the weeks leading up to the TT, and you’ll be able to pick up a copy in every newsagent and petrol station on The Island itself. Editions can be ordered direct from the publisher too, or if you prefer to go digital then a version is available to download for your chosen device. 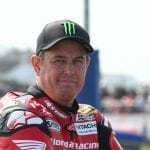 In it you’ll find a complete TT2016 Who’s Who and Watcher’s Guide, the story of TT2015, interviews with John McGuinness, Ian Hutchinson and Jamie Hamilton, a massive multi-part TT poster and a FREE DVD featuring on-board footage from McG’s record-breaking lap in last year’s Senior race.